Standard Cantonese is a variant, and is generally considered the prestige dialect of Cantonese Chinese. It is spoken natively in and around the cities of Guangzhou, Hong Kong, and Macau in Southern . Standard Cantonese is the de facto official Chinese spoken language of Hong Kong and Macau, and the lingua franca of Guangdong province and some neighbouring areas. It is also spoken by many overseas Chinese of Guangdong, Hong Kong or Macau origin in Singapore, Malaysia, Canada, United States, Australia, Europe and elsewhere. Historically, Cantonese was the most common form of Chinese spoken by overseas Chinese communities in the Western world, although that situation has changed with the increasing importance of Mandarin in the Chinese-speaking world as well as immigration to the West from other countries as well as other parts of China. In popular speech, Standard Cantonese is often known simply as Cantonese, though in academic linguistics the name can also refer to the broader category to which it belongs, Cantonese language (Traditional Chinese: 粵語; Simplified Chinese: 粤语; Pinyin: Yuèyǔ; Jyutping: Yuet6yue5). Standard Cantonese is also known popularly as Guangdong speech (Traditional Chinese: 廣東話; Simplified Chinese: 广东话; Pinyin: Guǎngdōng huà; Jyutping: Gwong2dong1 Wa2) or as the Canton Prefecture speech (Traditional Chinese: 廣州話、廣府話; Simplified Chinese: 广州话、广府话; Pinyin: Guǎngzhōu huà, Guángfǔ huà; Jyutping: Gwong2zau1 Wa2, Gwong2fu2 Wa2). Like any dialect, the phonology of Standard Cantonese varies among speakers. Unlike Standard Mandarin, there is no official agency to regulate Standard Cantonese. Below is the phonology accepted by most scholars and educators, the one usually heard on TV or radio in formal broadcast like news reports. Common variations are also described. There are about 630 different extant combinations of syllable onsets (initial consonants) and syllable rimes (remainder of the syllable), not counting tones. Some of these, such as /ɛː˨/ and /ei˨/ (欸) , /pʊŋ˨/ (埲), /kʷɪŋ˥/ (扃) are not common any more; some such as /kʷɪk˥/ and /kʷʰɪk˥/ (隙), or /kʷaːŋ˧˥/ and /kɐŋ˧˥/ (梗) which has traditionally had two equally correct pronunciations are beginning to be pronounced with only one particular way uniformly by its speakers (and this usually happens because the unused pronunciation is almost unique to that word alone) thus making the unused sounds effectively disappear from the language; while some such as /kʷʰɔːk˧/ (擴), /pʰuːi˥/ (胚), /jɵy˥/ (錐), /kɛː˥/ (痂) have alternative nonstandard pronunciations which have become mainstream (as /kʷʰɔːŋ˧/, /puːi˥/, /tʃɵy˥/ and /kʰɛː˥/ respectively), again making some of the sounds disappear from the everyday use of the language; and yet others such as /faːk˧/ (謋), /fɐŋ˩/ (揈), /tɐp˥/ (耷) have become popularly (but erroneously) believed to be made-up/borrowed words to represent sounds in modern vernacular Cantonese when they have in fact been retaining those sounds before these vernacular usages became popular. On the other hand, there are new words in Cantonese circulating in Hong Kong which use sounds which never appeared in Cantonese before, such as get1 (note: this is non standard usage as /ɛːt/ was never an accepted/valid final for sounds in Cantonese, though the final sound /ɛːt/ has appeared in vernacular Cantonese before this, /pʰɛːt˨/ – notably in describing the measure word of sticky substances such as mud, glue, chewing gum etc), the sound is borrowed from the English word gag to mean the act of amusing others by a (possibly practical) joke. Note the aspiration contrast and the lack of phonation contrast for stops. The sibilant affricates are grouped with the stops for compactness in displaying the chart. Some linguists prefer to analyze /j/ and /w/ as part of finals to make them analogous to the /i/ and /u/ medials in Standard Mandarin, especially in comparative phonological studies. However, since final-heads only appear with null initial, /k/ or /kʰ/, analyzing them as part of the initials greatly reduces the count of finals at the cost of only adding four initials. Some linguists analyze a /ʔ/ (glottal stop) when a vowel other than /i/, /u/ or /y/ begins a syllable. The position of the coronals varies from dental to alveolar, with /t/ and /tʰ/ more likely to be dental. The position of the sibilants /ts/, /tsʰ/, and /s/ are usually alveolar ([ts], [tsʰ], and [s]), but can be postalveolar ([tʃ], [tʃʰ], and [ʃ]) or alveolo-palatal ([tɕ], [tɕʰ], and [ɕ]), especially before the front high vowels/iː/, /ɪ/, or /yː/. Some native speakers cannot distinguish between /n/ and /l/, and between /ŋ/ and the null initial. Usually they pronounce only /l/ and the null initial. See the discussion on phonological shift below. ¹Finals [ɛːu], [ɛːm] and [ɛːp] only appear in colloquial speech. They are absent from some analyses and romanization schemes. [ɛː] – [e], [iː] – [ɪ], [ɔː] – [o], [uː] – [ʊ], and [œː] – [ɵ]. [e] – [ɪ] and [o] – [ʊ] – [ɵ]. Standard Cantonese has nine tones in six distinct tone contours. For purposes of meters in Chinese poetry, the first and fourth tones are traditionally grouped in the “flat category” (平聲), while the rest are “oblique” (仄聲). In Hong Kong, the first tone can be either high level or high falling without affecting the meaning of the words being spoken. Most Hong Kong speakers are in general not consciously aware of when they use and when to use high level and high falling. In Guangzhou the high falling tone is more usual. The numbers “394052786” when pronounced in Cantonese, will give the nine tones in order (Romanisation (Yale) saam1, gau2, sei3, ling4, ng5, yi6, chat7, baat8, luk9), thus giving a good mnemonic for remembering the nine tones. It is interesting to note that there are not actually more tone levels in Standard Cantonese than in Standard Mandarin (three if one excludes the Cantonese low falling tone, which begins on the third level and needs somewhere to fall), only Cantonese has a more complete set of tone courses. Standard Cantonese mostly preserves the tones in Middle Chinese in the manner shown in the chart below. 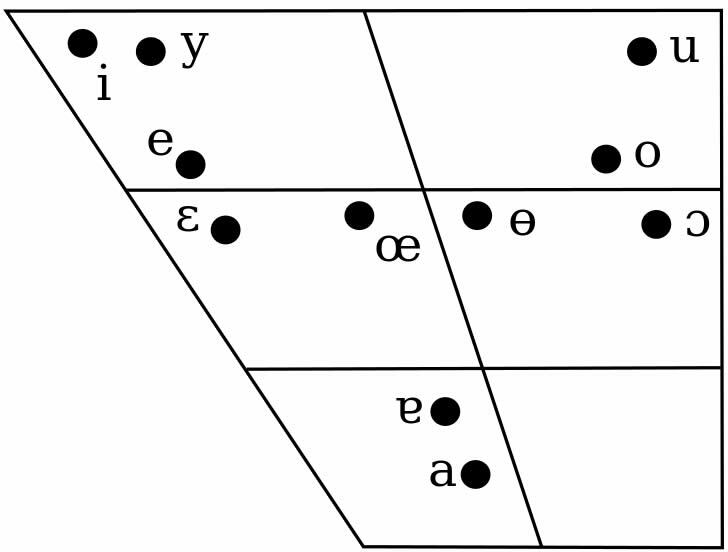 V− = voiceless initial consonant, V+ = voiced initial consonant. The voice distinction was found in Middle Chinese and has been lost in Cantonese, preserved only by tone differences. Like other languages, Cantonese is constantly undergoing sound changes, processes where more and more native speakers of a language change the pronunciations of certain sounds. One shift that affected Cantonese in the past was the loss of distinction between the alveolar and the alveolo-palatal (sometimes pronounced as postalveolar) sibilants, which occurred during the late 19th and early 20th centuries. This distinction was documented in many Cantonese dictionaries and pronunciation guides published prior to the 1950s but is no longer distinguished in any modern Cantonese dictionary. Meyer, B. and Wempe, T., The Student’s Cantonese-English Dictionary, 3rd edition, 1947. “s” initial may be heard for “sh” initial and vice versa. A vestige of this palatalization difference is sometimes reflected in the romanization scheme used to romanize Cantonese names in Hong Kong. For instance, many names will be spelled with sh even though the “sh sound” (/ɕ/) is no longer used to pronounce the word. Examples include the surname 石 (/sɛːk˨/), which is often romanized as Shek, and the names of places like Sha Tin (沙田; /saː˥ tʰiːn˩/). After the shift was complete, even though the alveolo-palatal sibilants were no longer distinguished, they still continue to occur in complementary distribution with the alveolar sibilants, making the two groups of sibilants allophones. Thus, most modern Cantonese speakers will pronounce the alveolar sibilants unless the following vowel is /iː/, /i/, or /y/, in which case the alveolo-palatal (or postalveolar) is pronounced. Canton romanization attempts to reflect this phenomenon in its romanization scheme, even though most current Cantonese romanization schemes don’t. The alveolo-palatal sibilants occur in complementary distribution with the retroflex sibilants in Mandarin as well, with the alveolo-palatal sibilants only occurring before /i/, or /y/. However, Mandarin also retains the medials, where /i/ and /y/ can occur, as can be seen in the examples above. Cantonese had lost its medials sometime ago in its history, reducing the ability for speakers to distinguish its sibilant initials. In modern-day Hong Kong, many younger native speakers are unable to distinguish between certain phoneme pairs and merge one sound into another. Although that is often considered as substandard and is denounced as being “lazy sounds” (懶音), it is becoming more common and is influencing other Cantonese-speaking regions. There are several major romanization schemes for Cantonese: Barnett-Chao, Meyer-Wempe, the Chinese government’s Guangdong romanization and Yale. While they do not differ greatly, Yale is the one most commonly seen in the west today. The Hong Kong linguist Sidney Lau modified the Yale system for his popular Cantonese-as-a-second-language course, so that is another system used today by contemporary Cantonese learners. Systematic efforts to develop an alphabetic representation of Cantonese pronunciation began with the arrival of Protestant missionaries in China early in the nineteenth century. Romanization was considered both a tool to help new missionaries learn the dialect more easily and a quick route for the unlettered to achieve gospel literacy. Earlier Catholic missionaries, mostly Portuguese, had developed romanization schemes for the pronunciation current in the court and capitol city of China but made few efforts at romanizing other dialects. Robert Morrison, the first Protestant missionary in China published a “Vocabulary of the Canton Dialect” (1828) with a rather unsystematic romanized pronunciation. Elijah Coleman Bridgman and Samuel Wells Williams in their “Chinese Chrestomathy in the Canton Dialect” (1841) were the progenitors of a long-lived lineage of related romanizations with minor variations embodied in the works of James Dyer Ball, Ernest John Eitel, and Immanuel Gottlieb Genăhr (1910). Bridgman and Williams based their system on the phonetic alphabet and diacritics proposed by Sir William Jones for South Asian languages. Their romanization system embodied the phonological system in a local dialect rhyme dictionary, the Fenyun cuoyao, which was widely used and easily available at the time and is still available today. Samuel Wells Willams’ Tonic Dictionary of the Chinese Language in the Canton Dialect (Yinghua fenyun cuoyao 1856), is an alphabetic rearrangement, translation and annotation of the Fenyun. In order to adapt the system to the needs of users at a time when there were only local variants and no standard — although the speech of the western suburbs, xiguan, of Guangzhou was the prestige variety at the time — Williams suggested that users learn and follow their teacher’s pronunciation of his chart of Cantonese syllables. It was apparently Bridgman’s innovation to mark the tones with an open circles (upper register tones) or an underlined open circle (lower register tones) at the four corners of the romanized word in analogy with the traditional Chinese system of marking the tone of a character with a circle (lower left for “even,” upper left for “rising,” upper right for “going,” and lower right for “entering” tones). John Chalmers, in his “English and Cantonese pocket-dictionary” (1859) simplified the marking of tones using the acute accent to mark “rising” tones and the grave to mark “going” tones and no diacritic for “even” tones and marking upper register tones by italics (or underlining in handwritten work). “Entering” tones could be distinguished by their consonantal ending. Nicholas Belfeld Dennys used Chalmers romanization in his primer. This method of marking tones was adopted in the Yale romanization (with low register tones marked with an ‘h’). A new romanization was developed in the first decade of the twentieth century which eliminated the diacritics on vowels by distinguishing vowel quality by spelling differences (e.g. a/aa, o/oh). Diacritics were used only for marking tones. The name of Tipson is associated with this new romanization which still embodied the phonology of the Fenyun to some extent. It is the system used in Meyer-Wempe and Cowles’ dictionaries and O’Melia’s textbook and many other works in the first half of the twentieth century. It was the standard romanization until the Yale system supplanted it. The distinguished linguist, Y. R. Chao developed a Cantonese adaptation of his Gwoyeu romanization system which he used in his “Cantonese Primer.” The front matter to this book contains a review and comparison of a number of the systems mentioned in this paragraph. The GR system was not widely used. An influential work on Cantonese, A Chinese Syllabary Pronounced According to the Dialect of Canton, written by Wong Shik Ling, was published in 1941. He derived IPA based transcription system on Cantonese, S. L. Wong system and many Chinese dictionaries published later in Hong Kong was based on the transcription. Althought Wong also derived a romanisation scheme, also known as S. L. Wong system, it is not widely used as his transcription system. The one advocated by the Linguistic Society of Hong Kong (LSHK) is called jyutping, which solves many of the inconsistencies and problems of the older, favored, and more familiar system of Yale Romanization, but departs considerably from it in a number of ways unfamiliar to Yale users. The phonetic values of letters are not quite familiar to whom had studied English. Some effort has been undertaken to promote jyutping, with some official supports, but it is too early to tell how successful it is. Another popular scheme is Standard Cantonese Pinyin Schemes, which is the only romanization system accepted by Hong Kong Education and Manpower Bureau and Hong Kong Examinations and Assessment Authority. Books and studies for teachers and students in primary and secondary schools usually use this scheme. But there is quite a lot teachers and students using the transcription system of S. L. Wong. However, learners may feel frustrated that most native Cantonese speakers, no matter how educated they are, really are not familiar with any romanization system. Apparently, there is no motive for local people to learn any of these systems. The romanization systems are not included in the education system either in Hong Kong or in Guangdong province. In practice, Hong Kong people follow a loose unnamed romanisation scheme used by the Hong Kong Government. See Hong Kong Government Cantonese Romanisation for details. Cantonese is usually referred to as a spoken dialect, and not as a written dialect. Spoken vernacular Cantonese differs from modern written Chinese, which is essentially formal Standard Mandarin in written form. Written Chinese spoken word for word sounds overly formal and distant in Cantonese. 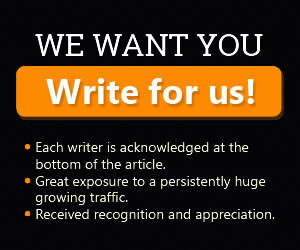 As a result, the necessity of having a written script which matched the spoken form increased over time. This resulted in the creation of additional Chinese characters to complement the existing characters. Many of these represent phonological sounds not present in Mandarin. A good source for well documented Cantonese words can be found in drama and opera (大戲 daai hei) scripts. Written Cantonese is largely incomprehensible to non-Cantonese speakers because written Cantonese is based on spoken Cantonese which is different from Standard Mandarin in grammar and vocabulary. “Readings in Cantonese colloquial: being selections from books in the Cantonese vernacular with free and literal translations of the Chinese character and romanized spelling” (1894) by James Dyer Ball has a bibliography of works available in Cantonese characters in the last decade of the nineteenth century. A few libraries have collections of so-called “wooden fish books” written in Cantonese character. Facsimiles and plot precis of a few of these have been published in Wolfram Eberhard’s “Cantonese Ballads.” See also “Cantonese love-songs, translated with introduction and notes by Cecil Clementi” (1904) or a newer translation of these Yue Ou in “Cantonese love songs : an English translation of Jiu Ji-yung’s Cantonese songs of the early 19th century” (1992). Cantonese character versions of the Bible, Pilgrims Progress, and Peep of Day as well as simple catechisms were published by mission presses. The special Cantonese characters used in all these was not standardized and shows wide variation. With the advent of the computer and standardization of character sets specifically for Cantonese, many printed materials in predominantly Cantonese speaking areas of the world are written to cater to their population with these written Cantonese characters. As a result, mainstream media such as newspapers and magazines have become progressively less conservative and more colloquial in their dissemination of ideas. Generally speaking, some of the older generation of Cantonese speakers regard this trend as a step “backwards” and away from tradition. This tension between the “old” and “new” is a reflection of a transition that is being undergone by the Cantonese speaking population. China has numerous regional and local varieties of spoken Chinese, many of which are mutually unintelligible; most of these are rarely used or heard outside their native areas, and are not used in education, formal purposes, or in the media. Regional/local dialects (including Cantonese) in mainland China and Taiwan tend to be used primarily between relatives and friends in informal situations, with Standard Mandarin being used for formal purposes, in the media, and as the language of education. Even though the majority of Cantonese speakers live in mainland China, due to the linguistic history of Hong Kong and Macau, as well as its use in many overseas Chinese communities, the use of Standard Cantonese has spread from Guangdong far out of proportion to its relatively small number of speakers in China. As the majority of Hong Kong and Macau people and/or their ancestors emigrated from Guangdong before the widespread use of Standard Mandarin, Cantonese became the usual spoken variety of Chinese in Hong Kong and Macau. 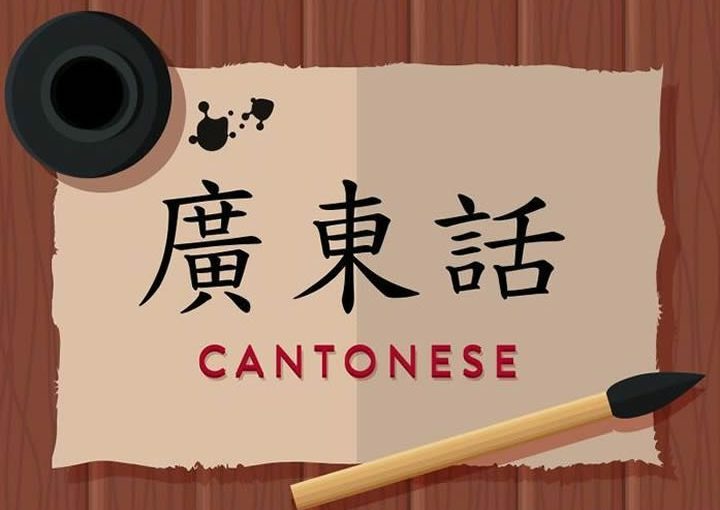 Cantonese is the only Chinese variety to be used in official contexts other than Standard Mandarin, which is the official language of both the People’s Republic of China and the Republic of China. Also because of its use by non-Mandarin speaking Cantonese speakers overseas, Cantonese is one of the primary forms of Chinese that many Westerners come into contact with. However, the importance of Cantonese as a lingua franca in North America has decreased in recent years, with the advent of Mandarin. Along with Mandarin and Taiwanese, Cantonese is also one of the few Chinese spoken varieties which has its own popular music (Cantopop). The prevalence of Hong Kong’s popular culture has spurred some Chinese in other regions to learn Cantonese, unique among the varieties of Chinese in the sense that most Chinese who learn a non-native regional/local dialect do so as a result of long-term residence in that area. The contrast is especially clear with other Chinese varieties, such as Wu. Wu has more speakers than Yue (the wider group under which Cantonese is located), it is spoken in an area that is approximately equally wealthy, and Shanghainese, one of the prestige dialects of Wu, is spoken in Shanghai, arguably the economic center of Mainland China. However, Shanghainese is not used in official contexts, Shanghainese does not have a form of popular music, and is virtually unknown in the West. This is because usage of Shanghainese is discouraged by the government, and is banned in schools. In addition, virtually all Shanghai people can speak Standard Mandarin and use Shanghainese only with other Shanghainese speakers. Therefore, Shanghainese is rarely used outside of the city. This applies to many local varieties of Chinese. Hong Kong people do not speak Standard Mandarin and continue to use Cantonese as the only spoken form of Chinese. However, spurred on by the success of Cantonese, some Wu speakers have begun to promote their mother tongue. Some teachers in Guangdong continue to teach in Cantonese, as most Cantonese feel affinity with their own language much more than they do Mandarin Chinese, though doing so is against the national language policy. It has even caused some dissatisfaction amongst immigrants from other provinces who usually do not speak Cantonese. Life in Hong Kong is characterised by the blending of Asian (mainly south Chinese) and Western influences, as well as the status of the city as a major international business centre. Influences from this territory are widespread in foreign cultures. As a results, many loanwords are created and exported to China, Taiwan and Singapore. Some of the loanwords are even more popular than their Chinese counterparts. At the same time, some new words created are vividly borrowed by other languages as well. The so-called “Battle between Cantonese and Mandarin” started in Hong Kong in the mid-1980s when a large number of non-Cantonese speaking mainland Chinese people started crossing the border into Hong Kong during Deng Xiaoping’s economic reforms. At that time, Hong Kong and Macau were still under British and Portuguese rules respectively, and Mandarin was not often heard in those territories. Businesspeople from the mainland and the colonies who did not share a common language shared a mutual dislike and distrust of one another, and in magazines in China in the mid-1980s, they would publish polemics against the other’s language – thus Cantonese became known on the mainland as “British Chinese” – and Mandarin became known as “流氓話 Lau Men Waa” – literally “outlaw speech” – in the colonies. In Singapore the government has had a Speak Mandarin Campaign (SMC) which seeks to actively promote the use of Standard Mandarin Chinese instead of Chinese dialects, such as Hokkien (45% of the Chinese population), Teochew (22.5%), Cantonese (16%), Hakka (7%) and Hainanese. This was seen as a way of creating greater cohesion among the ethnic Chinese. In addition to positive promotion of Mandarin, the campaign also includes active attempts to dissuade people from using Chinese dialects. Mostly notably, the use of dialects in local broadcast media is banned, and access to foreign media in dialect is limited. Some believe that the Singaporean Government has gone too far in its endeavour. Some Taiwanese songs in some Taiwanese entertainment programmes have been singled out and censored. Japanese and Korean drama series are available in their original languages on TV to the viewers, but Hong Kong drama series on non-cable TV channels are always dubbed in Mandarin and broadcast in Singapore without their original Cantonese soundtrack. Some Cantonese speakers in Singapore feel the dubbing causes the series to sound very unnatural and lose much of its flavour. An offshoot of SMC is the Pinyinisation of certain terms which originated from southern Chinese languages. For instance, dim sum is often known as dianxin in Singapore’s English language media, though this is largely a matter of style, and most Singaporeans will refer to dim sum when speaking English. Another result of SMC is that most young Singaporeans from Cantonese speaking families are unable to understand or speak Cantonese. The situation is very different in nearby Malaysia, where even most non-Cantonese speaking Chinese can understand the dialect to a certain extent through exposure to the language.